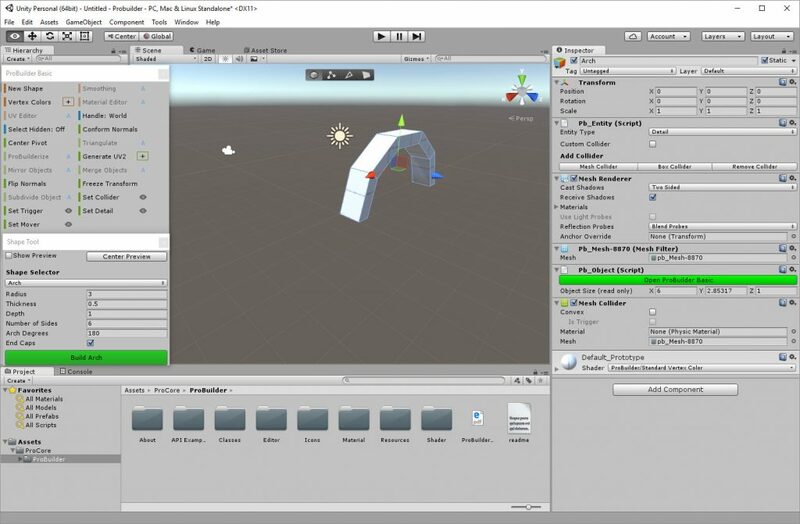 Unity ProBuilder is a Unity3D plug in that allows the creation and manipulation of 3D mesh content directly within the Unity Editor. There are basic (free) and Advanced (paid) versions. The advanced version allows for complete UV unwrapping, export of models to OBJ, etc. This entry was posted in 3D and tagged 3D, Unity. Bookmark the permalink.